Trying to find out if anyone knows exactly where the wire splices are for a 71 Fastback ammeter. My oil and temp work on my center gauges but the amp does not. I have tested the gauge and it is good. I also tried a spare I have. I have checked the wiring diagram but am unable to determine where number 654 and 655 splice are at. I have trace 654 and it is tied into 37 right after it comes out the fuse block connector. I don't know if this was done at the factory or not. I have traced 655 into the block connector but the wire is missing on the out side to the firewall. The socket is empty where it should be at. I plan on running a new wire but am not sure exactly where to tie in at what point. Below is where 654 ties into 37 out of the back of the fuse block junction. The upper left hand corner is where 655 should be but it is missing. Well, that splice is incorrect, for one. You have a standard (non-ammeter) headlight harness, so you don't have the proper signals feeding into the ammeter. The feeds for the ammeter start near the starter solenoid (one side) and the other where the alternator feed joins the main power feed, a few feet away from the starter solenoid, buried in the headlight harness. ha midlife. i'm always amazed at the knowledge many of the folks here have... nice job..
(02-09-2019, 07:26 AM)midlife Wrote: Well, that splice is incorrect, for one. 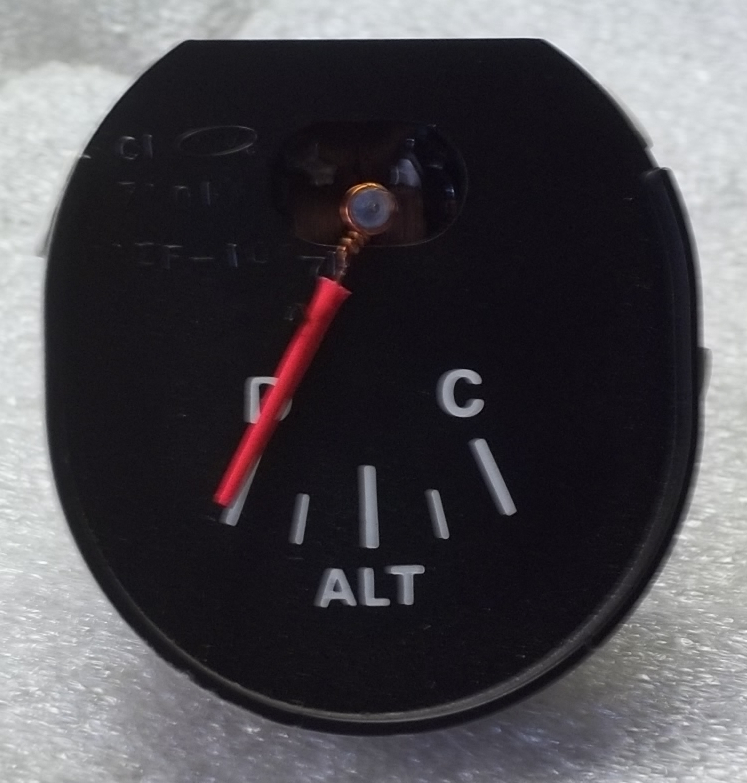 You have a standard (non-ammeter) headlight harness, so you don't have the proper signals feeding into the ammeter. The feeds for the ammeter start near the starter solenoid (one side) and the other where the alternator feed joins the main power feed, a few feet away from the starter solenoid, buried in the headlight harness. I sorta figured that splice wasn't right. If I rewire the harness to the correct wires should the rest of the electrical system be ok? I know that the voltage regulator is wire different then it is if you have a amp light. Would you happen to have any pictures of where the splices are? The ammeter is a shunted ammeter and functions from only a sampling of the amperage the car is using or the alternator is providing, not the entire load. The shunt is in the correct wiring harness and not a matter of connecting wires. You either have to have the correct wire harness or a lot of electrical knowledge to make your own shunt. If you want your ammeter to work get the correct harness from Midlife. (02-09-2019, 09:57 AM)Don C Wrote: The ammeter is a shunted ammeter and functions from only a sampling of the amperage the car is using or the alternator is providing, not the entire load. 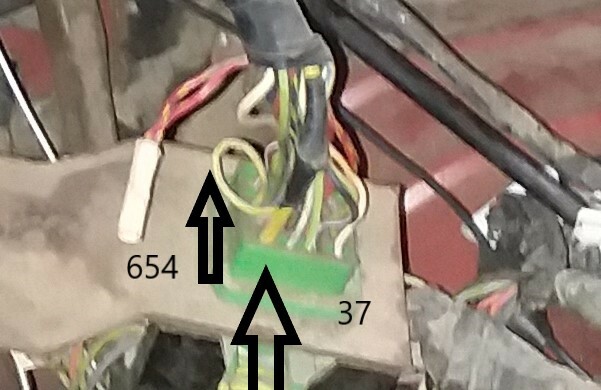 The shunt is in the correct wiring harness and not a matter of connecting wires. You either have to have the correct wire harness or a lot of electrical knowledge to make your own shunt. If you want your ammeter to work get the correct harness from Midlife. Thanks for the info Don. I'll get with Midlife. I visited his site but it seems they recommend to get a new harness instead of a having mine refurbished. Refurbishing your harness will not add the shunt or other connections, a different harness is required. Do you really want to use the ammeter, especially since they never seemed to work even when wired correctly? Then add to that, the fact your harness is not correct. May want to do the RCCI ammeter to voltmeter conversion. At least, thats straightforward +12 and gnd wiring. The M7123V is the Amp meter from a 71, 72 or 73 Mustang converted to read volts. It uses the original amp scale, but has been modified to indicate charge/discharge by voltage. If you prefer a volt meter face, order the M7123VO below. (02-09-2019, 11:00 AM)SteveO_71 Wrote: Do you really want to use the ammeter, especially since they never seemed to work even when wired correctly? Then add to that, the fact your harness is not correct.